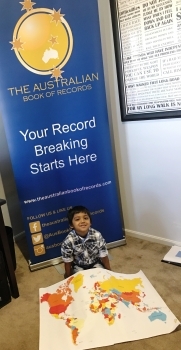 3 years and 8 months old Kanishk Thangeswaran, from St Kilda in Melbourne, successfully broke TWO Australian records. 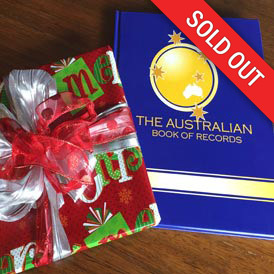 Firstly selecting 29 countries on a map accurately in 60 seconds. Next Kanishk identified 25 countries flags in just 60 seconds. Kanishk does not yet attend Kindergarten, however his Professor mother Nithya personally tutors him and makes regular visits to the local library for the parent/child ‘reading time sessions’. 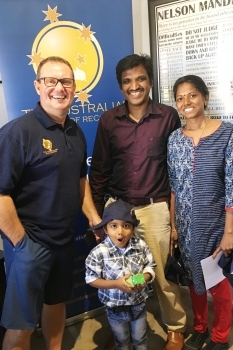 This lovely family arrived from India into Australia last year.